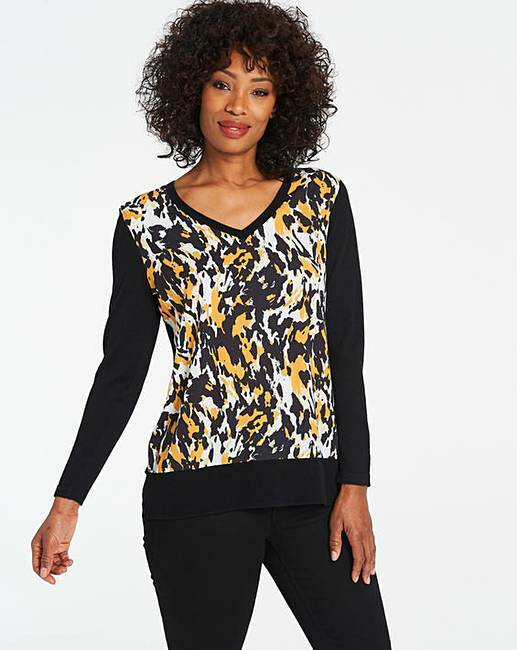 Woven Front Jumper is rated 3.3 out of 5 by 4. Ensure your wardrobe is updated with our 2-in-1 knit and woven jumper. 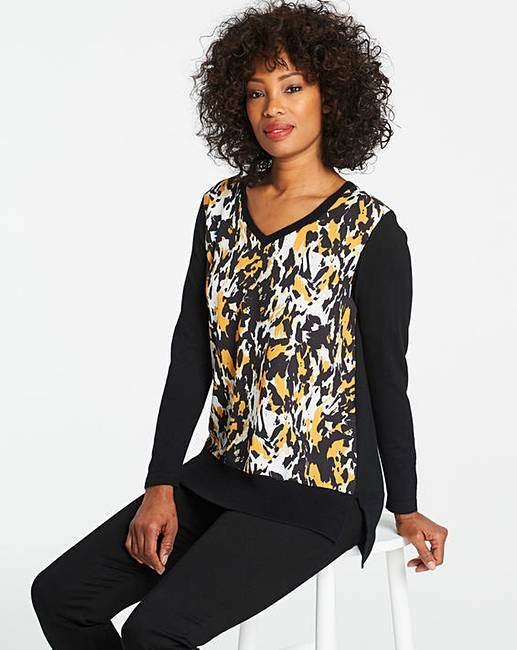 Featuring a gorgeous woven print to the front, slight dipped hem and V-neck. 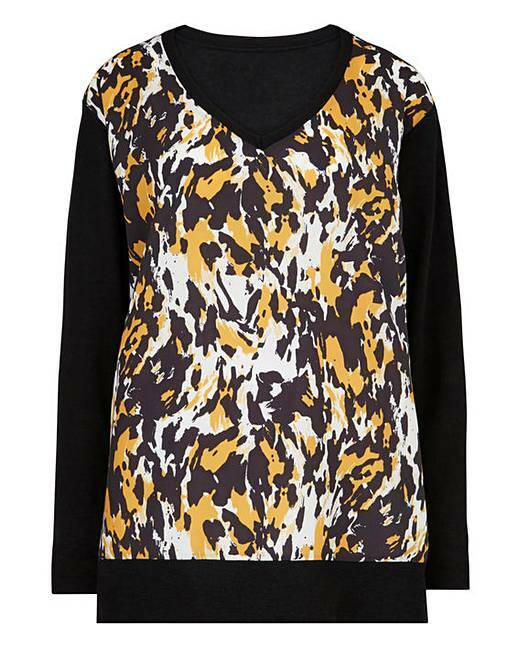 Team this jumper with jeans and ankle boots for a great, everyday look. Knit: 54% Polyester, 20% Acrylic, 20% Nylon, 6% Wool. Woven: Polyester. Rated 3 out of 5 by SarahS from Not what I expected Ordered this to go with yellow trousers, sadly have had to return. Was too big but the front panel fabric was not what I was expecting. Rated 3 out of 5 by shirl82 from on the large size. Purchased this but is rather large more tunic style than jumper !